Bits & Scraps Of My Life: Yayyyy! I'm GDT at Child's Play This Week!! Yayyyy! I'm GDT at Child's Play This Week!! Just a quick post today........I know everyone is most likely super busy today! Whatever your plans for today, be safe!! 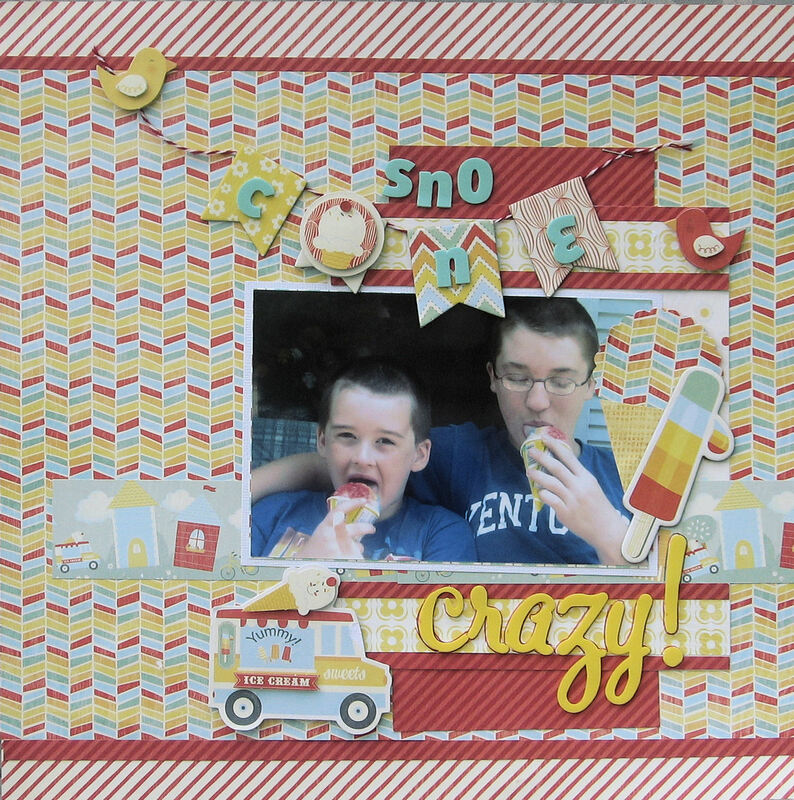 I have been dying to share this LO I created for this week's Child's Play Challenge!! The challenges over there are super fun and I really encourage everyone to check them out and play along!! Anddddd if you are a faithful follower of LMLC you will see some people you recognize over there!! :) Friendly folks, they don't bite or anything I promise!!! Ohh, and if you miss a week you can go back and play because even tho they have a new challenge each week, you have all month to play along!!! Cool huh? This week's challenge is to take inspiration from this toy that some of you may remember having or wanting. 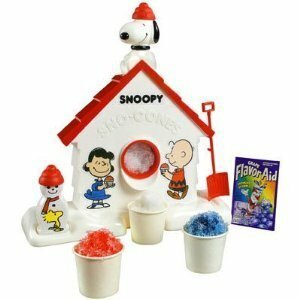 The Snoopy Sno Cone Machine!!! I used my MME "Sunny Day Collection" I have used almost every single scrap of it!!! I still ahve a few die cuts left...which is way unusual for me!! The only other thing I added were the Thickers and the twine I used for the banner. Yes I am a sucker for a banner...I have been putting them on everything lately! The photo is of Jesse and Brandon eating, what else??? Snow cones!!!! We have a small independent grocery outlet store here in town that sells the Popsicle brand snow cones 8 for a dollar!!! These 2 love them so much that they even take them out of the cone and use them to ice down koolaid.....lol. I had so much fun throwing this layout together and I wanna thank the folks at Child's Play for inviting me to hang out with them this week!! They are still having a DT call so if interested you should check em out!! Enjoy your day everyone and thanks for dropping by!!! CONGRATS on the GDT!! That's AWESOME!! I loveeeeeeee your lo! Such a fun photo and loveeeee the banner!!! Congrats on your GDT ! I wanted one of those too when I was little!!! YUM! Very cute LO!